My check engine light is on. What, if anything, should I do about this? My car doesn't seem to run any differently; What do I do? Your car is smart enough to make adjustments to minimize your risk for safety and loss fuel economy. It means your car has already verified you have a malfunction worth addressing. Most of these malfunctions if left unaddressed typically lead to more serious problems down the road. It is better "and less expensive" to investigate the cause of the problem earlier rather than later. My service advisor is recommending paid "diagnostics". What is this? After the initial review of the stated concern with the car, at this point, you have little or no cost applied yet. The process of actually diagnosing a problem on a car can be quite involving and it is worth paying for a skilled technician to properly diagnose your vehicle's problem. So that the proper repair can be recommended. In the end this process actually saves you money and help ensure the proper repair is done the first time. My air conditioner does not blow as cold as it used to. What do I do? The best thing to do is first determine if the system is fully charge with refrigerant. This involves evacuating the system of all refrigerant and measuring what comes out, a vacuum test, recharging the system with a full charge of refrigerant, oil and a diagnostic ultraviolet dye "to help find leaks" and finally a pressure check and through leak inspection. For example, if your vehicle holds 32 oz of refrigerant and we evacuated 8 oz of refrigerant then you obviously have one or more leaks. There are many places refrigerant can leak from. Now that your vehicle is fully charge we can verify its proper mechanical operation and its ability to blow cold air. If your vehicle's air condition is operating properly with a full charged than all we need to do is find and repair your leak/s. When I hit my brake petal I can feel my car vibrating. Why does this happen? The most common cause of this problem are warped brake rotors. After our test drive and a break inspection we are able to confirm if this is your problem. In most cases the proper repair is doing a "good brake job", which includes new pads, rotors and hardware. Does my car or truck still require a tune-up? The short answer is yes. Although many vehicles today are scheduled to go 100,000 miles before a tune-up. This doesn't mean tune-ups are a thing of the past. Your vehicle is an engineering marvel packed full of technologies and enhanced safety features. Your vehicle delivers higher horse power at lower admissions than vehicles manufacture just 5 to 10 years ago. A tune-up is preventative maintenance to be done to help ensure larger issues don't develop such as engine misfires due to warn spark plugs which can cause extensive damage to your vehicles catalyst system "catalytic converters". So, a tune-up today keeps the engine misfires away. My car does not have a dip stick for the transmission fluid. Does this mean my transmission is non-serviceable? 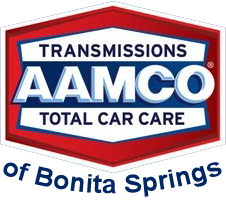 Many vehicles today are supplied with a much higher quality transmission fluid. The fluid still becomes dirty and warn down overtime but you’re not able to check it unless your auto service center is able to extract a fluid sample. If your car has a serviceable filter it is best to change the filter and fluid. If your vehicle does not have a serviceable filter than it is best to drain and refill your fluid on a regular basis. Our service advisors will be able to advise you which is best to do for your vehicle and when.